Our classic 16 oz. 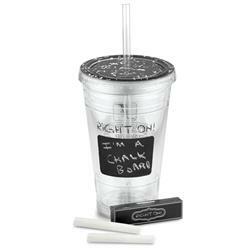 tumbler is now available in a Back To School edition comes complete with Chalk ink (in any color) and its own box of chalk for writing a personal, easy to change message, plus a Fresco lid resembling the classic Marble Notebook. 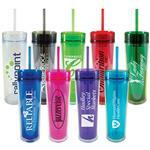 Decorate this custom tumbler in a variety of options including on the lid as shown! A geat item for teachers! Dimensions: 6 inches high - 16 oz.